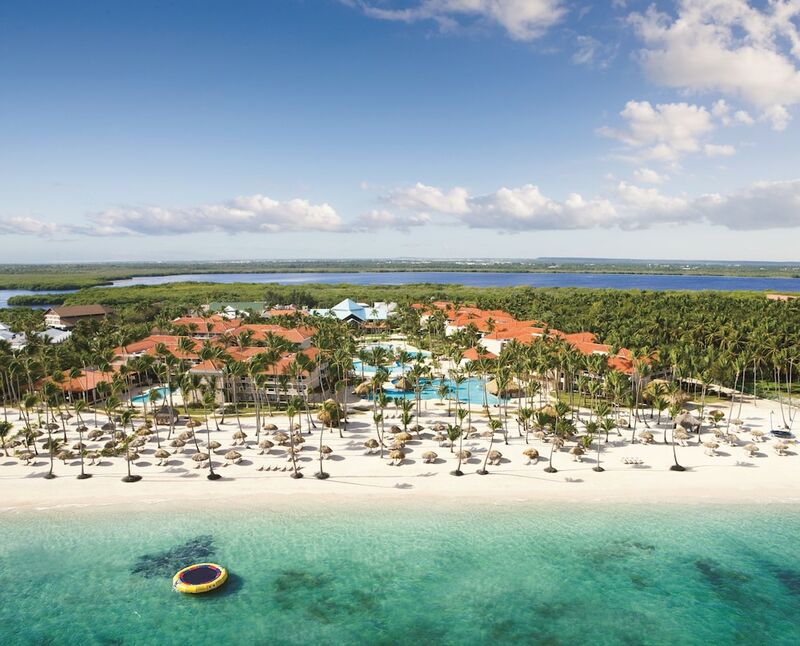 When you stay at Dreams Palm Beach Punta Cana - Luxury All Inclusive in Punta Cana, you'll be on the beach, just steps from Cabeza de Toro and Bavaro Lagoon. This 4-star property is 5.4 mi (8.7 km) from Downtown Punta Cana and 8 mi (12.8 km) from Bavaro Beach. Make yourself at home in one of the 500 air-conditioned rooms featuring minibars and DVD players. Rooms have private furnished balconies or patios. Flat-screen televisions with cable programming provide entertainment, while complimentary wireless Internet access keeps you connected. Bathrooms have complimentary toiletries and hair dryers. Relax at the full-service spa, where you can enjoy massages and facials. Before a night out at the casino, the 4 outdoor swimming pools are a perfect way to relax and recharge. Additional features at this property include complimentary wireless Internet access, babysitting/childcare (surcharge), and an arcade/game room. Enjoy French cuisine at Bordeaux, one of the property's 5 restaurants, or stay in and take advantage of the 24-hour room service. Snacks are also available at the coffee shop/café. Relax with a refreshing drink from the poolside bar or one of the 7 bars/lounges. A complimentary hot/cold buffet breakfast is included. Featured amenities include a 24-hour front desk and multilingual staff. Planning an event in Punta Cana? This property has facilities measuring 7800 square feet (725 square meters), including conference space. Free valet parking is available onsite.